GUY FOOD Rachael says, Guys who cook are hot! Step into the kitchen with these Top 30 meals with guy appeal. This collection of greatest hits features simple recipes with big flavors, perfect for date nights, game nights, or just hangin' out. 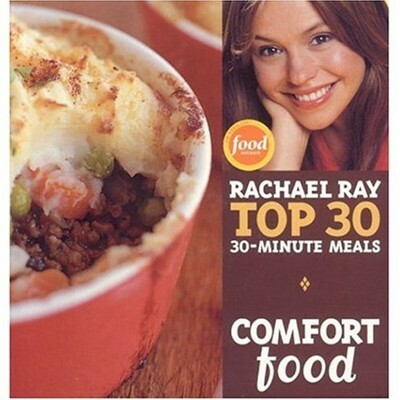 COMFORT FOOD Curl up in front of the fire with the delicious homespun fare of Rachael's comfort food. Treat yourself with these Top 30 meals, a collection of her greatest hits. The perfect way to unwind after a busy day--you deserve it!